With a significant population of Portuguese immigrants in Hawaii, Islander grew up exposed to their culture and cuisine. Her family especially enjoyed eating round loaves of Portuguese sweet bread (pão doce) from Leonard’s Bakery and other lesser known local brands. But King’s Hawaiian Bakery brought sweet bread to the mainland, did marketing miracles and made the rolls and buns world famous. 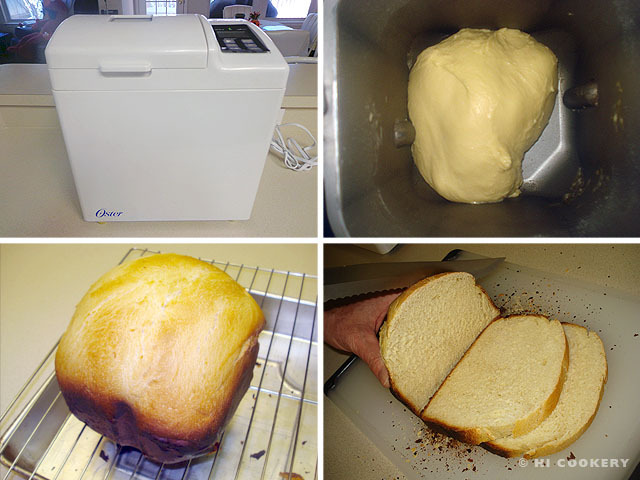 We attempted to prepare pão doce in our bread machine as a project for National Bread Day. Although it is denser and not as light and fluffy as the bakery bread, it still tastes terrific as toast! Bom apetite! 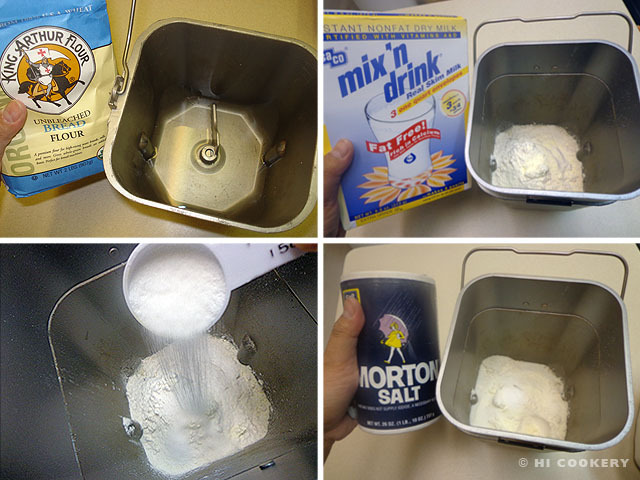 In the well of the bread machine pan, place the water, bread flour, milk powder, sugar and salt. 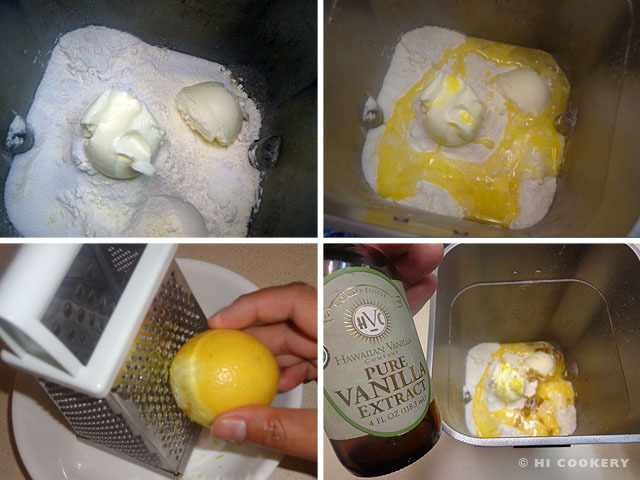 Layer the butter or margarine, beaten egg, lemon zest and vanilla over the dry mixture. 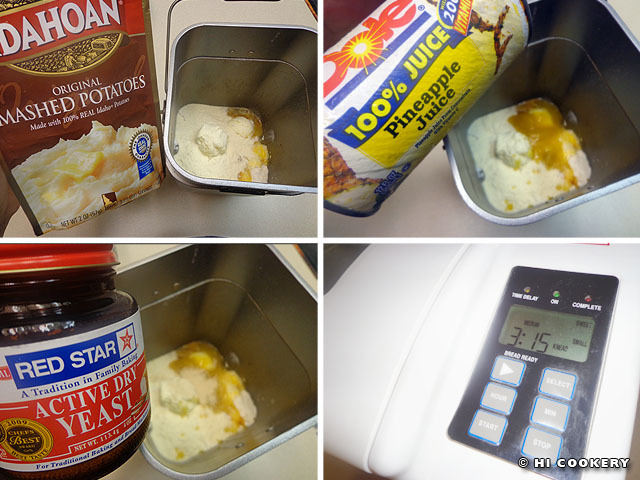 Next add the potato flakes (which will soak up the liquids), pineapple juice and yeast. Place the well into the bread machine. Set it for regular loaf, sweet cycle and light crust setting. Press start and allow the machine to knead, rise and bake the bread. When the cycle is done, carefully remove the hot well from the machine. Take the bread out of the well. Allow to cool on a wire rack. Slice and serve fresh or toasted. Pão doce makes excellent French toast. See the recipes for pain perdu or a breakfast casserole. Instead of Portuguese sweet bread, try Portuguese cheese bread (pão de queijo). Refer to the recipe here. 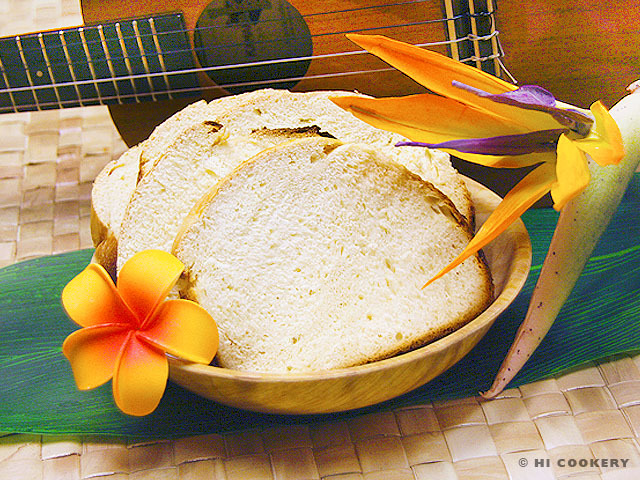 An ‘ukulele, introduced to Hawaii by the Portuguese, is a prop in the picture above. Mahalo to Islander’s brother for leaving it in our house to play whenever he comes over (but we claim that uke as ours now! ).